We hope they discussed wedding planning. 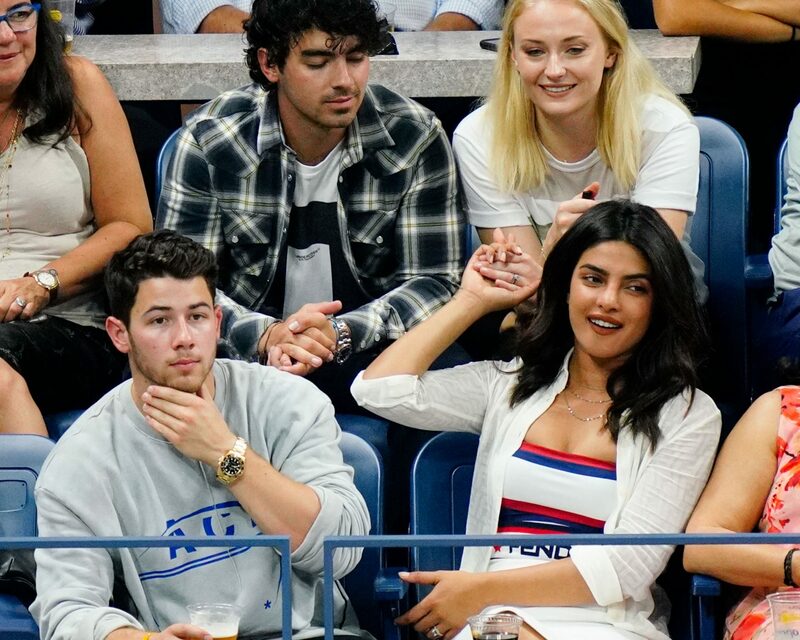 Newly-engaged celeb couple Priyanka Chopra and Nick Jonas went on a double date with recently-engaged stars Sophie Turner and Joe Jonas at the US Open in New York City on Tuesday, September 4, and we hope the quartet discussed wedding planning. The four snapped selfies, drank beers and casually looked on as Serena Williams took on Karolina Pliskova inside Arthur Ashe Stadium. “It’s a #famjam at the #usopen,” Chopra wrote. The two will likely have a traditional Indian wedding component as they plan their nuptials, although work takes priority at the moment for both. Like Chopra and Jonas, Game of Thrones actress Turner and DNCE frontman Joe will also marry when the time is right. The pair was slightly ahead of Chopra on the engagement road map after Joe popped the question in October 2017. Be the first to comment on "Priyanka Chopra and Nick Jonas Went on a Double Date With Sophie Turner and Joe Jonas"